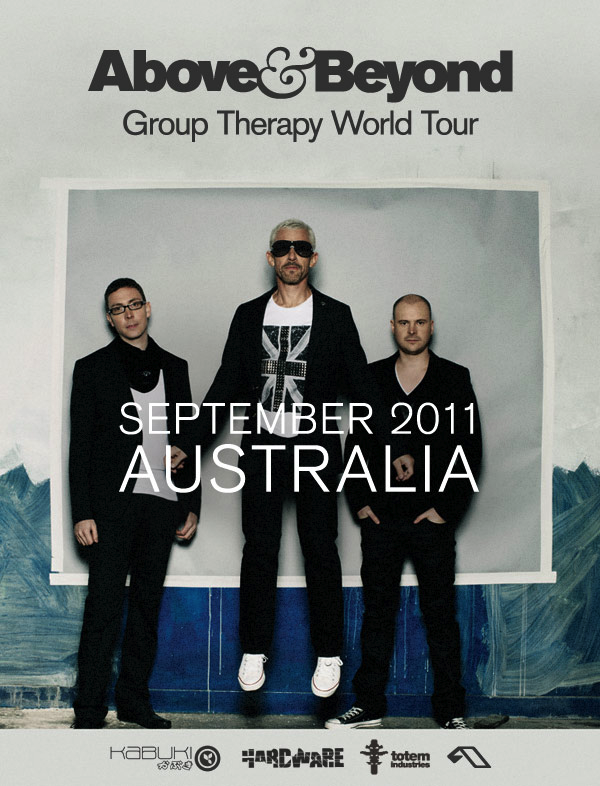 As mentioned here on the site in our Easter Saturday news wrap, the boys from British dance outfit Above & Beyond have announced an Australian leg of their ‘Group Therapy’ world tour. Set down for September, the band’s local visit will make stops in all five major centres, kicking off at Perth’s Metro City on September 09. 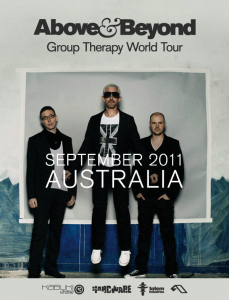 They’re set to release their latest album – also entitled ‘Group Therapy’ – in the middle of the year. Above & Beyond have been among the pioneers in the world of trance throughout the past decade, lending their remixing skills to a variety of Anjunabeats compilations, as well as to singles from the likes of Madonna and Britney Spears. Tickets for the tour are on sale on Thursday May 19.